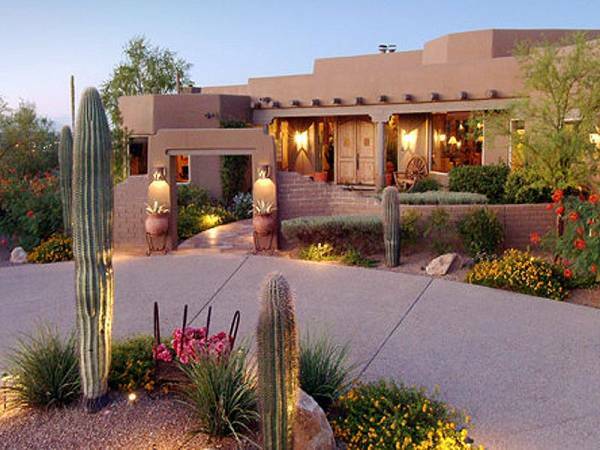 Desert landscaping ideas come from many parts of the world, including the US, Australia, the Dubai, and other parts of the Middle East. 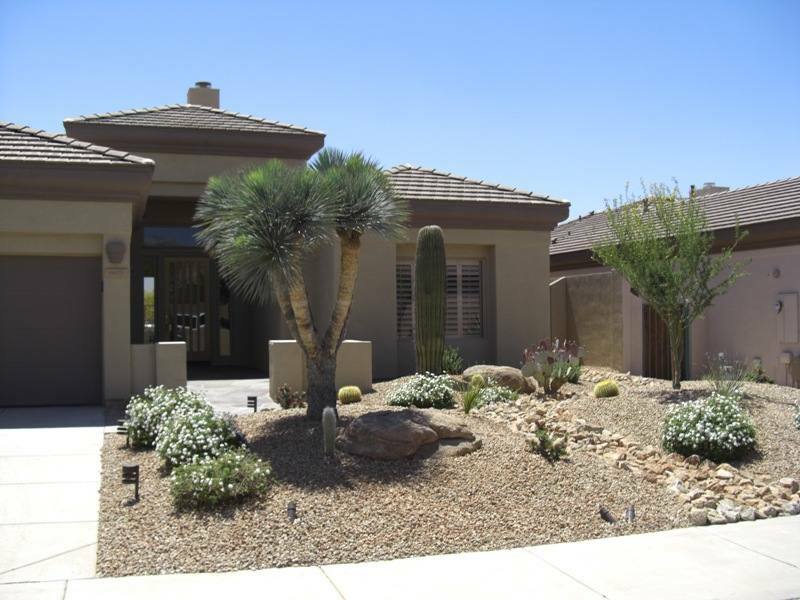 the front of this desert frontyard. 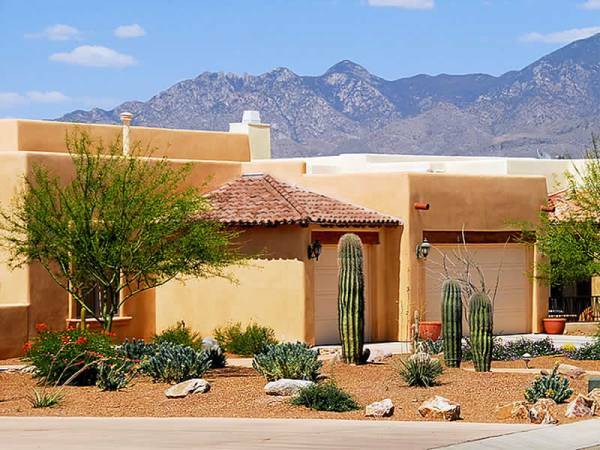 Arizona, New Mexico, Nevada, and some other southwestern states, have brought us some creative, practical, and beautiful xeriscape designs. They have overcome the challenges of sun, water, and soil conditions to turn many a dry barren piece of land, into a mini-oasis. 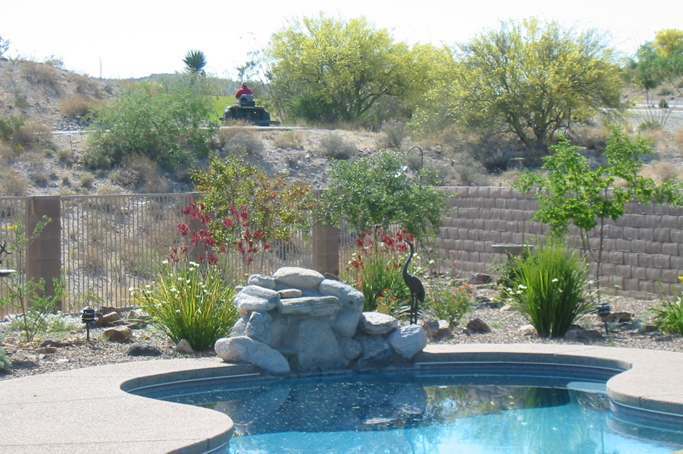 Click on any desert landscaping photo to open a gallery slideshow of all the photos on this page. 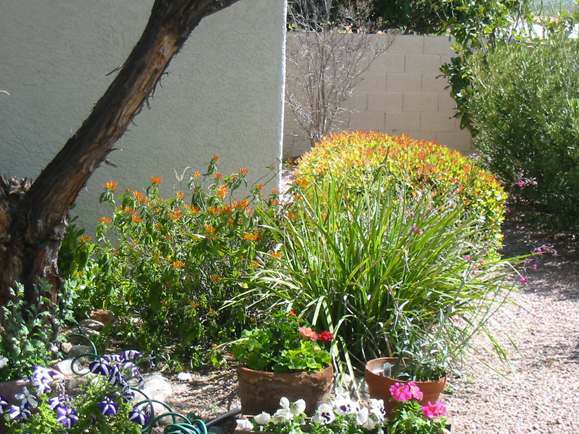 Find more desert landscaping photos by clicking on the links at the bottom of the page to open other galleries. 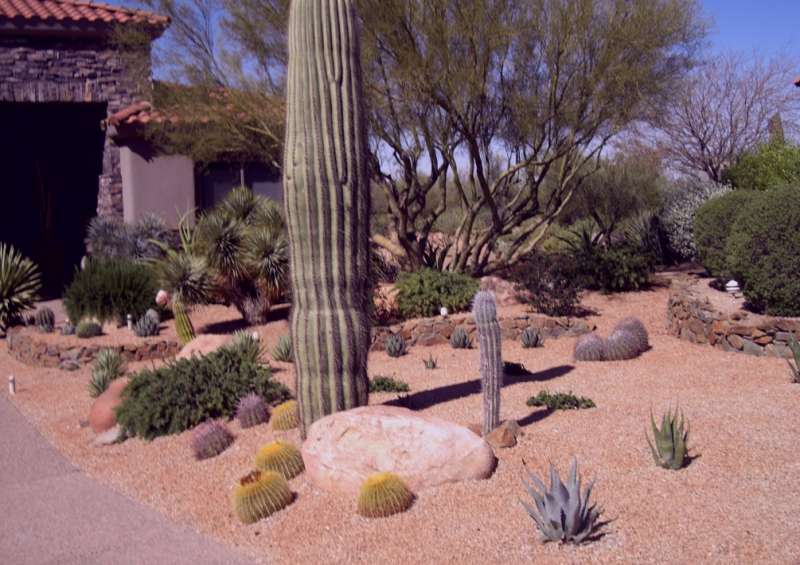 We hope this section on xeriscape ideas will inspire you for your dream yard. 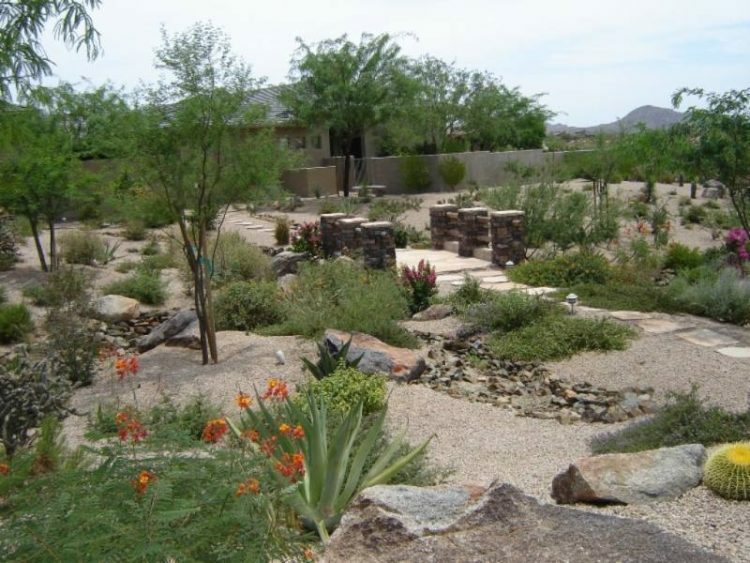 Desert landscaping and xeriscaping work on the same design principles of "low water" or dry landscaping. 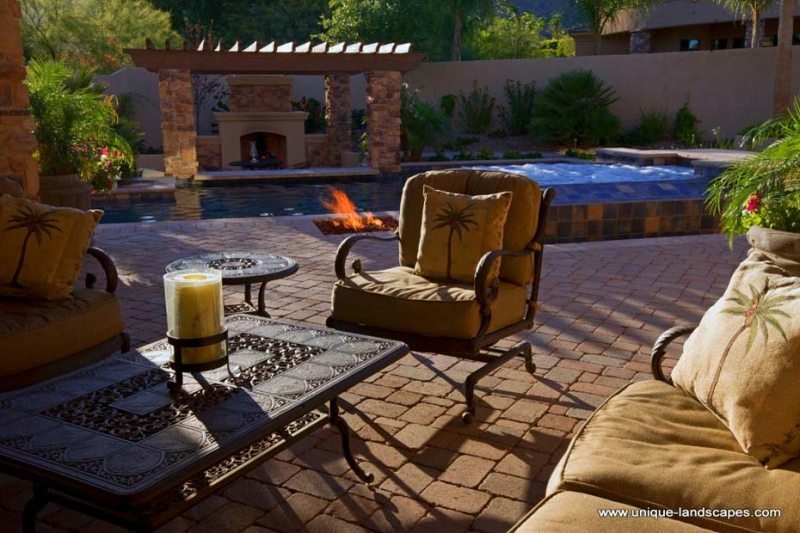 Please visit "The Yard" Landscaping how-to modules if you are planning on installing your own projects. A welcoming entrance to a small courtyard with simple lighting, low maintenance plantings, and a nice mixture of stone and desert plants. 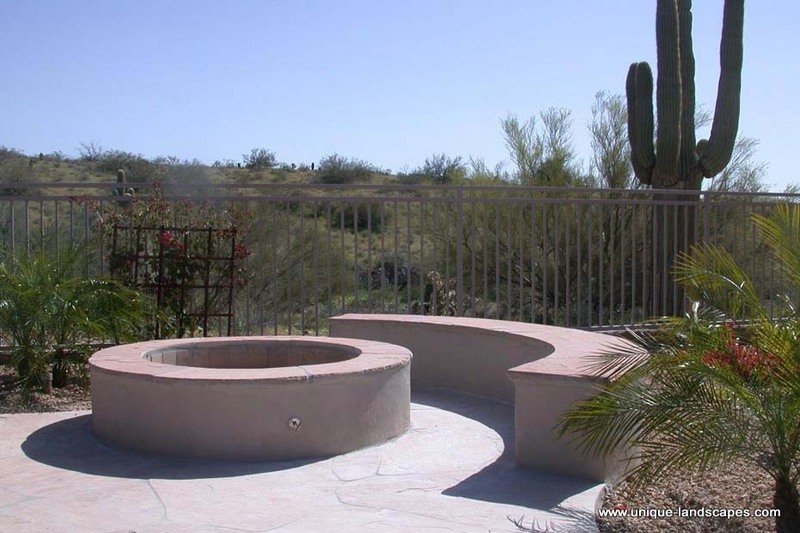 A firepit with seating sits in the corner of this flagstone patio. 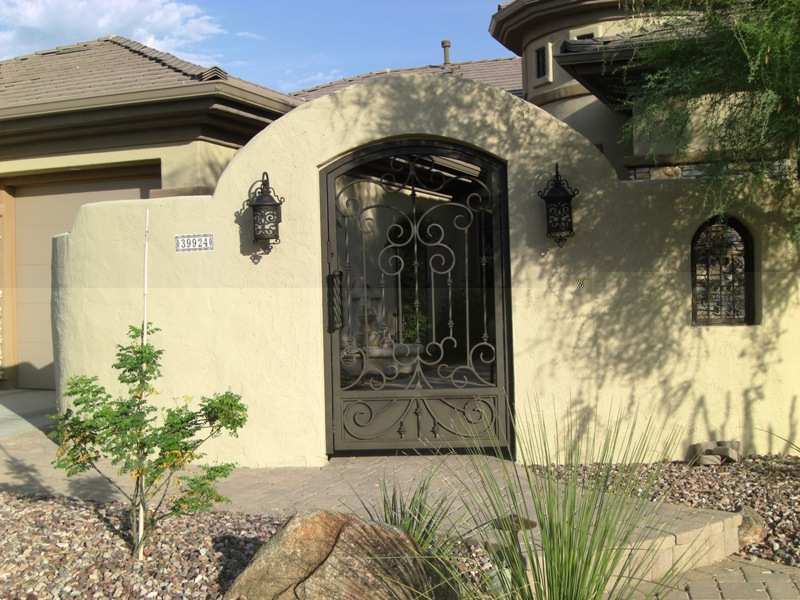 the look of the iron fencing. 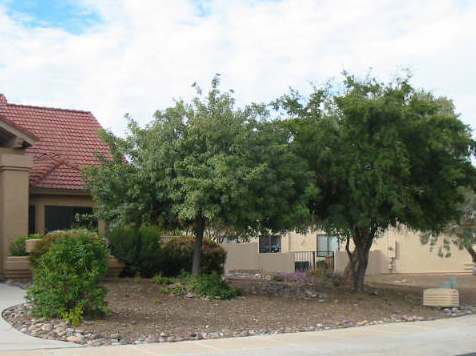 Desert trees give shade to the front of this house, and they are not alone. Shrubs along the driveway and across the front of the house compliment the trees. bottom of the tree canopy to the ground. 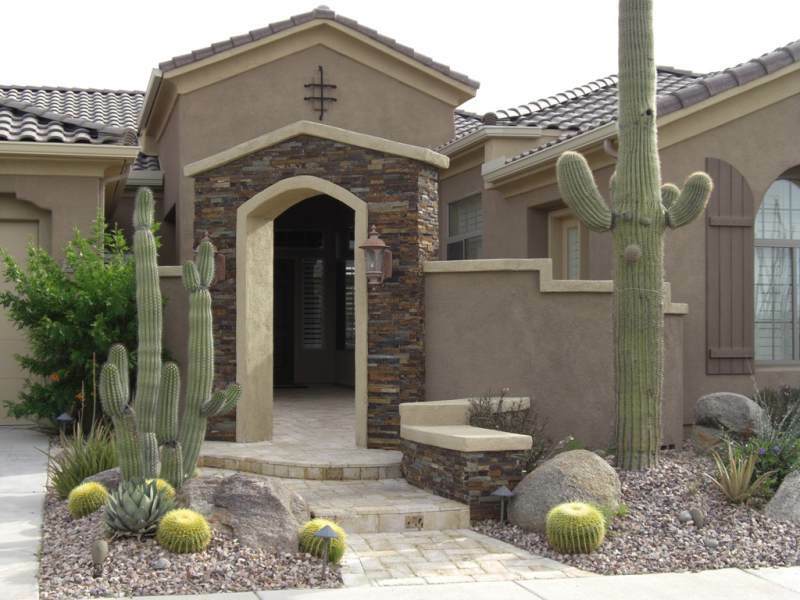 this front yard desert design. allows you to expand your selection. design to compliment the house. Brick steps and a short brick walkway lead to this gate and courtyard. Simple no maintenance designs are common in the desert. Drip irrigation often allows for some welcome color in rock and gravel designs. Inside the courtyard the brickwork continues to the front door. opposite side of the yard. 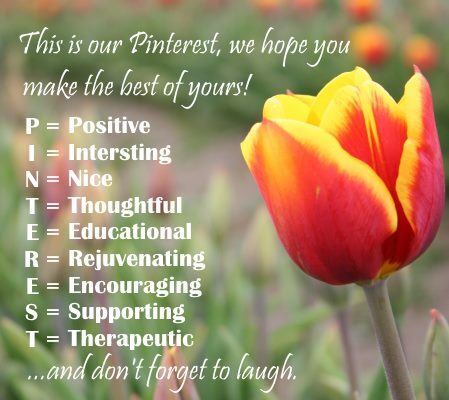 has been installed to welcome visitors to the front door at night. pleasant backdrop for this pool. A stepping stone path strolls past hearty shrubs in this large desert yard. nice viewing spot. The path is lighted for night use.